We provide liability insurance for drywallers, plaster, and insulation contractors across Ontario, Canada. 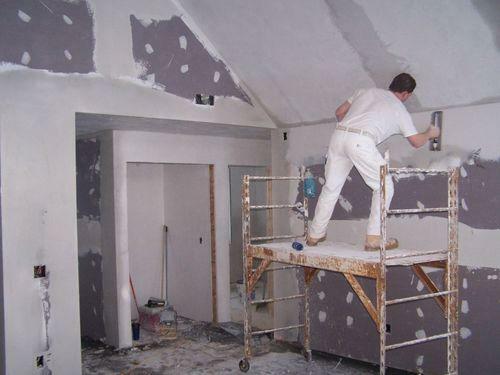 Drywallers contractors liability insurance provides protection to companies that do residential and commercial projects in the event they get sued. Our Rates start at $470/Year for $2 million in insurance that covers third party liability, tools, legal, and vehicle insurance. We can arrange coverages for $5m and $10m in need be as well. As a drywall, insulation, and plaster contractor in a city like Mississauga in Ontario, Canada, you probably already know that you need Contractors insurance Mississauga, but you do not know what type of insurance, why you need insurance, or how much coverage you need. Well, first you have to consider the risks that you are faced with on a daily basis. Not only are you faced with the possibility that one of your employees could make a major mistake that results in financial loss to the customer, but there are tons of unforeseen risks as well. For instance, what if you are removing a piece of drywall, and you pull a nail out of a pipe that results in flood damage? That is a major possibility and it would take all or most of the company’s resources to rectify the situation. This is not to even mention if the customer wanted to sue you. Many customers automatically turn to a lawsuit even though the contractor is willing to rectify the situation. Well, these are the exact types of situation where general liability or drywall contractors insurance can come in handy. What Factors Affect The Cost of Drywall Contractor’s liability Insurance Coverage? 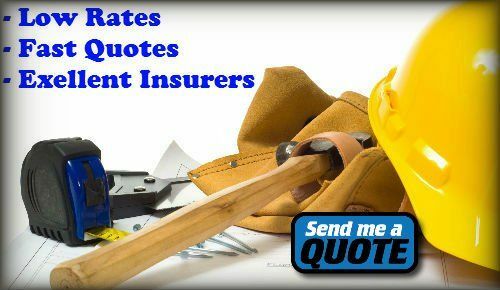 If you have already been on the search for contractors insurance, you have probably noticed that each provider’s quote is varying. Have you ever truly wondered why these quotes are varying? Well, there are a variety of different factors that can affect the costs of your drywall, insulation, and plaster contractors general liability insurance. To start off, previous claims are going to play a major factor in the cost. Did you have a lot of claims previously filed against you? Of course, the more claims you have, the higher your premiums are going to be. Size is also another factor that can make a major difference in the cost of your insurance. The more employees you have, the higher your premiums are going to be. Providers look at each employees as a risk, and the more you have, means the greater chance of risk. Unfortunately, revenue is another major factor that will play a role in the cost of your contractors insurance. The more money you are bringing in and the more money that you are making on each job will factor into the cost of your premiums. The bigger the job means more risk exposure. Buying a Drywalling business liability insurance plan to secure your company, your family, your customers, and your employees is imperative when it comes to doing business safely in the Canadian provinces. This is especially true if your customers are growing, you are bringing on more employees, or taking on bigger jobs. There truly are tons of different policies and coverage amounts available, you always have to weigh your risks and find out what best suits your company. Many people are under the impression that the drywall and insulation installation profession does not pose any risks. Of course, this is nothing further than the truth, because all jobs considered part of the construction industry pose risks to employees, structures and others. In fact, an accident can occur without a moment’s notice, causing repairable or irreparable damage. For instance, a worker could accidentally drop a five-gallon bucket of drywall mud on a new hardwood floor. Why the accident occurred is going to be on the back of your mind, since you are responsible for the damages your employee caused. However, you should focus more on how to rectify the issue to prevent the client from filing a claim or lawsuit against your company. There is no doubt that you will have to pay out of pocket for the repair cost, if you are not covered under a quality drywalling contractors liability insurance policy. This type of insurance not only covers structural damaged caused by you or your employees, but also covers bodily injury and costs related to contract disputes. While general liability insurance for drywalling company protects contractors from potential financial loss related to employee mishaps, it also protects consumers from financial loss. These risks are extremely high, which is why many consumers in Hamilton, Ontario will not even consider hiring a company or contractor who is not fully covered under a quality Hamilton Contractors liability insurance plan. Apply for Drywallers, Insulation, and Plastering General Liability Insurance Quote Now!